The San Antonio Spurs walked off of the floor at the 2013 NBA Finals with an unusual feeling as they didn’t claim the NBA Championship. The Spurs however didn’t take the time to wallow in their pity as they laced up their sneakers and came back with a vengeance last season to claim their fifth NBA Championship since 1999. The Spurs are the most unselfish team in the NBA as they had six players last season that averaged in double figures which is their key to success. The San Antonio offense doesn’t revolve around one player as any player on their roster can give Spurs head coach Gregg Popovich 20 points on a given night and you can expect more of the same in the upcoming NBA season. Spurs power forward Tim Duncan is the modern day Bill Russell as all he does in win. Duncan is 38-years old and he is set to embark on his 17th season in the NBA (all with the Spurs). On the surface it may appear that Duncan has taken has lesser role with the Spurs, but he is still the leader of this team as he is their anchor. Duncan only averaged 15.1 points and 9.7 rebounds per game last season, but he knows how to take it to another level in May and June during the NBA Playoffs. Like Duncan, Spurs point guard Tony Parker continues to be written off by his critics only to continuously rise to the occasion. Parker is 32-years of age and he has no sign of slowing down as he is still one of the fastest point guards in the NBA. Like Duncan and Parker, Spurs shooting guard Manu Ginobili is in that 30 something club in San Antonio where age is only a number. Ginobili is 37-years old and despite recent injuries he is still one of the best sixth men in the league. Aside from Duncan, Parker, and Ginobili, the Spurs have tremendous depth that includes centers Tiago Splitter and Boris Diaw along with shooting guards Danny Green and Marco Belinelli. At 23-years of age, Spurs small forward Kawhi Leonard is a star in the making. Leonard is entering his fourth NBA season and he is the reigning NBA Finals MVP. At this point the only person that could slow Leonard’s progression down in Spurs head coach Gregg Popovich who uses the old-school, team first philosophy to the fullest. The Spurs will begin the defense of the NBA Championship tomorrow night when they take on the Dallas Mavericks and you can expect another deep playoff run next spring from the silver and black. The Dallas Mavericks might be a veteran club, but there is a ton of optimism this season for them in the Metroplex. Center Tyson Chandler was an important part of the Mavericks championship team in 2011. After that title season for the Mavericks, Chandler became a free agent as he joined the New York Knicks. This off-season the Knicks would trade Chandler along with point guard Raymond Felton to Dallas which is a shot in the arm for Mavericks owner Mark Cuban and head coach Rick Carlisle because they didn’t want to see Chandler leave town in the first place. On the floor one person who is really happy to have Chandler back in Dallas is Mavericks power forward Dirk Nowitzki. Nowitzki will go down as one of the greatest scorers that the NBA has ever seen from the power forward position while at 36-years of age he still has the ability to average 20 points per game. Nowitzki and Chandler will team with small forward Chandler Parsons to give the Mavericks a good front court. Cuban surprised some people this past summer when he signed the free agent Parsons to a three-year, $46 million contract. Parsons spent the past three seasons with the Houston Rockets where he averaged 14.1 points per game, but his numbers have increased in every season and he gives the Mavericks another player that can spread the floor on the offensive end. The Mavericks will have a veteran starting back court in point guard Jameer Nelson and shooting guard Monta Ellis. In three of the last four NBA seasons, Nelson has averaged more than 7 assists per game as he is a good facilitator which will come in handy for Carlisle and his squad this season. In his first year in Dallas, Ellis shocked some people by being able to blend into Carlisle’s system so fast and he should improve for this campaign with the arrival of Nelson which allows him to be more off an off-guard. After a few years as an afterthought, Cuban and Carlisle both feel that they have a team that can contend once again for an NBA Championship. With a nucleus of shooting guard James Harden and center Dwight Howard, the Houston Rockets are hopeful that they won’t get lost in the shuffle that is the Western Conference. The Rockets went 54-28 last season, but they were knocked out in the first round of the NBA Playoffs for the second consecutive year which is something that head coach Kevin McHale and general manager Daryl Morey are hoping to avoid this season. The Rockets have their one-two combo in shooting guard James Harden and center Dwight Howard to once again lead them. 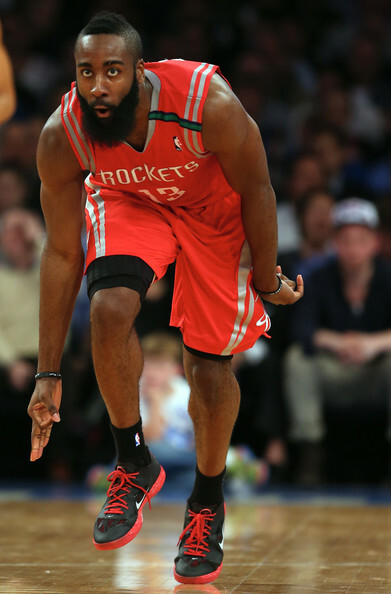 Harden is one of the better perimeter players in the NBA while Howard is a terrific rebounder and interior defender. Last season in his first go round with the Rockets, Howard was able to compliment Howard as he averaged 18.3 points and 12.2 rebounds per outing. Morey and the Rockets struck it big in free agency over the summer when they were able to sign small forward Trevor Ariza. This will be Ariza’s second go round with the Rockets as he will replace Chandler Parsons who Morey was willing to let walk away in free agency. But what Ariza gives the Rockets is a better on-the-ball defender on the wing than Parsons which Houston will need if they are going to be able to advance in the postseason this time around. Aside from the star power of Harden and Howard, the Rockets have questions at the point guard position in Patrick Beverley. In his two seasons in the NBA, Beverley has only averaged 2.8 assists per game. But Beverley appears to be the Rockets full-time starting point guard for now, and if Houston wants to be legitimate contenders in the Western Conference this season, I see McHale and Morey needing to upgrade that position at some point this season. As the Rockets look to keep pace in the Western Conference, they must take advantage of their schedule to start the season as their first four opponents this season had losing records last year. In the past few NBA seasons the Memphis Grizzlies have become a matchup nightmare for opponents. The Grizzlies have a pair of legitimate post presences in center Marc Gasol and power forward Zach Randolph. The Grizzlies are also not afraid to get dirty on the defensive end either as they are one of the top teams on defense in the NBA. For Grizzlies head coach Dave Joerger, he has a club that can contend with the top teams in the Western Conference. Last season Gasol and Randolph combined to account for nearly a third of the Grizzlies offense. Grizzlies point guard Mike Conley is coming off of his best season in the NBA as he was second on the team in scoring while also becoming a dependable floor general that Joerger can count on. Along with Gasol, Randolph, and Conley, the Grizzlies have role players that include forwards Vince Carter, Tayshaun Prince, and Quincy Pondexter along with shooting guard Courtney Lee who will have a say in any success that Memphis will be able to have this season. The Grizzlies will open with a soft schedule which will get them ready for a road trip at the end of November that will see them face the Los Angeles Lakers, Portland Trailblazers, Sacramento Kings, and Houston Rockets. But come the spring and the NBA Playoffs, the Grizzlies will once again be a tough out. The New Orleans Pelicans have increased their win total in each of the last three seasons, but it hasn’t resulted in them making the postseason. But will that trend change for the Pelicans this season? Under head coach Monty Williams, the Pelicans have a young team that could be a playoff team this season if they are able to remain healthy. 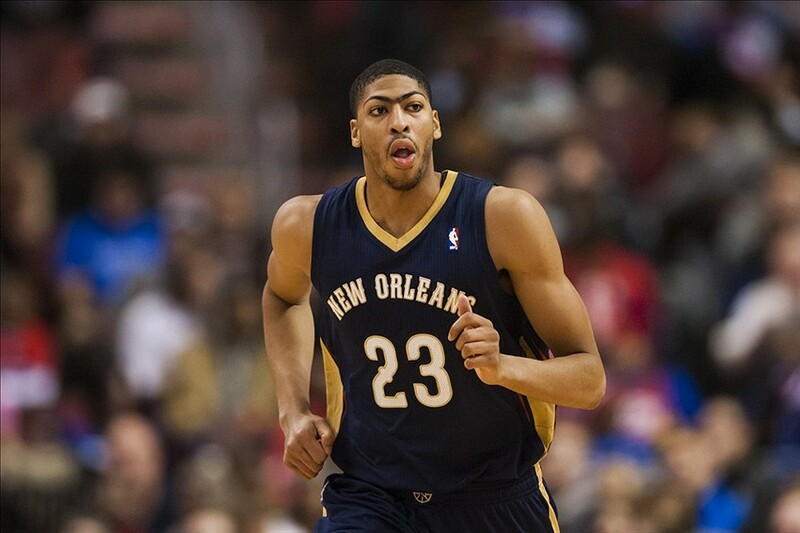 Last season Pelicans power forward Anthony Davis led the team in scoring (20.8) and rebounds (10.0) per game. Davis is only 21-years of age and he is already a very exciting player in the NBA as he can run the floor. Davis can block shots in the mode of Bill Russell which ignites the fast break and he also knows how to clean up on the boards. It is just a matter of Davis remaining healthy as in his two seasons in the NBA he has yet to participate in all 82 regular season games. Like Davis, Pelicans point guard Jrue Holiday is another exciting player, but his 2013-2014 NBA season was cut short due to a stress fracture in his right tibia which limited him to just 34 games. But if Holiday is a go this season, New Orleans will be a tough team to defeat in the Western Conference. Aside from Davis and Holiday, the Pelicans have a potent starting lineup consisting of center Omer Asik, small forward Tyreke Evans, and shooting guard Eric Gordon. Asik is one of the better rebounders in the NBA while Evans and Gordon could have a positive impact if they both remain healthy. With veterans in power forward Ryan Anderson and small forward John Salmons coming off of the bench for Williams, this should be a good NBA season on the Bayou. Within the first five games of the upcoming season, the Pelicans will have road games against the Grizzlies and Spurs who have been two of the top teams within the Southwest Division and it will also serve as a litmus test to see how the season will go in New Orleans.